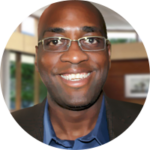 Kelvin Bentley, Ph.D. has over 17 years of experience in the field of online education as a faculty member, administrator, and consultant. Kelvin is currently the new Assistant Vice President for Digital Learning Innovation at the University of West Florida. Kelvin has written recent articles on digital learning for publications that include Educause Review and Inside Higher Education and he and members of Tarrant County College’s Connect campus were recipients of Blackboard’s 2017 Catalyst Award for Inclusive Education. Niki Bray taught in the Memphis City Schools District for 18 years teaching 6th grade science, high school Biology, Honors Biology, Physical Science, and Physical Education & Health. A member of the University of Memphis Women’s Basketball team from 1994-1997, Niki went on to coach girl’s basketball at Airways Middle, Wooddale High, and Central High where she lead her Under Armour-sponsored nationally ranked team to a AAA State Championship in 2011. Niki’s research interests center around adaptive learning and technology-enhanced learning. 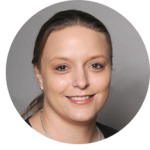 Niki considers herself to be a student-centered instructor who believes in designing learning experiences that puts the learner in the center of the course design. Dr. Page Chen has been designing and building innovative digital learning solutions for over a decade that combine UX design, social psychology and persuasive technology techniques with established pedagogical elements. Her research examines how digital media techniques can be integrated into digital learning environments to positively impact learner mastery. Her research lead to the development of persuasive design strategies that produce transformational impacts on the learner experience that reaches beyond good courses and into designing engaging and fully integrated digital learning environments. 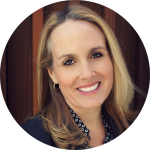 She is a writer, speaker, and consultant on creating “persuasive” digital learning environments that support the goals and objectives of organizations and learners. 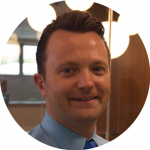 Mike Goudzwaard is a Learning Designer at Dartmouth College where he works with faculty to empower student learning through community engagement, emerging instructional pedagogy, and educational technology. Mike is the lead designer and producer for Dartmouth’s digital learning initiatives, including DartmouthX MOOCs. He co-leads the Learning Design group of technologists, faculty developers, and pedagogy experts who work to align space and technical resources for student-centered learning at Dartmouth. Dr. Jessica Knott has worked in information technology since 1998, spanning the public and academic sectors. 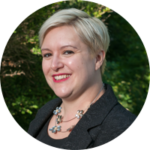 She has been active in collaborating on projects with colleagues nationwide, in planning conferences and as a faculty member in the Institute for the Online Learning Consortium, and as an editor for the ETC and Hybrid Pedagogy Journals. Dr. Ryan Luke is the Adaptive Learning Program Director at the University of Louisville. Prior to this role, Ryan taught college level mathematics for almost ten years. In addition to Mathematics, he holds a degree in Computer Science and began investigating digital courseware because of his interest in Mathematical Computing. His passion for teaching and love for students fueled his dedication to student growth and success initiatives. 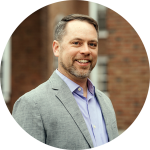 He now leads a team that supports and works with faculty to research the efficacy and student impact of personalized learning, adaptive courseware, and course design. Award recognizing exemplary higher education faculty-led teams and institutions for advancing student success through the adoption of digital courseware. Thank you to our reviewers. 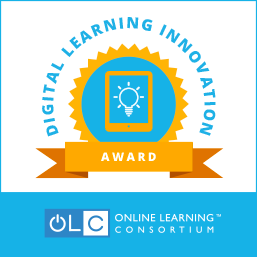 This 2018 Digital Learning Innovation Awards were scored by a team of reviewers. Six reviewers from the field were selected to create a representative group for the scoring. The review team was comprised of leaders whose roles represented a diversity of responsibilities. Submissions for the DLIAward were reviewed internally for eligibility, and for specific relationship to the post-secondary success initiative and the digital courseware definition for this project. Eligible submissions were then randomly distributed between the review team so that each submission was scored blindly. The top scoring finalists from this round comprise the 2018 Digital Learning Innovation Award winners.